Ageing or appearance of fine line and wrinkles is a natural process, but to maintain a healthy and glowing skin is a challenge for many. There are numerous cosmetic procedure and skin creams available that can reduce wrinkles and tighten loose skin. Many of us opt for these cosmetic procedures that involves and huge cost, not everyone of us can afford these expensive beauty treatments. The results of these cosmetic procedure many vary highly and involves its has its own risks. It is important to mention that nature has given us many solutions that can solve almost all of our problems. Most of the ingredients are present in our own kitchen. 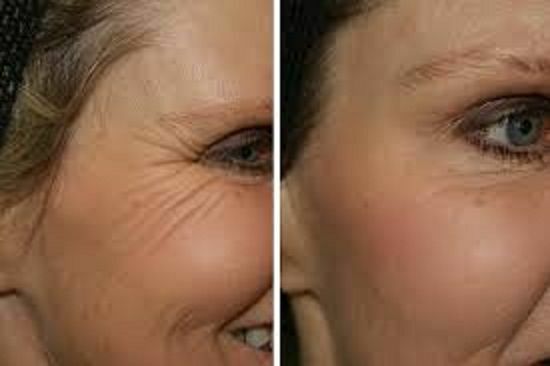 For good skincare we recommend using a homemade anti wrinkle facial mask that can reduce your wrinkles and tighten loose skin and make you look 10 years younger. This simple homemade mask is very easy to make and has hydrating effects that can restore the collagen and make skin look smooth, glowing and wrinkle free. Apart from that Rice, Honey and Milk has got natural skin restoration properties and a rich source of antioxidants which can also help you in dealing with acne and under-eye dark circles. Wash your face and apply the paste massaging your skin in a circular motion for 5 minutes. Let the mask rest for fifteen minutes on your skin and then wash your face with lukewarm water for best results. You will the effect of the mask right from the first use. This anti wrinkle mask must be applied once a week and you will notice changes in your skin after a few application, your skin will feel young, hydrated and refreshed. Do let us know your experience after using this mask. Beauty & Skin anti ageing, anti wrinkle, glowing skin. permalink.